The worst of both worlds IMHO. I feel exactly the same. 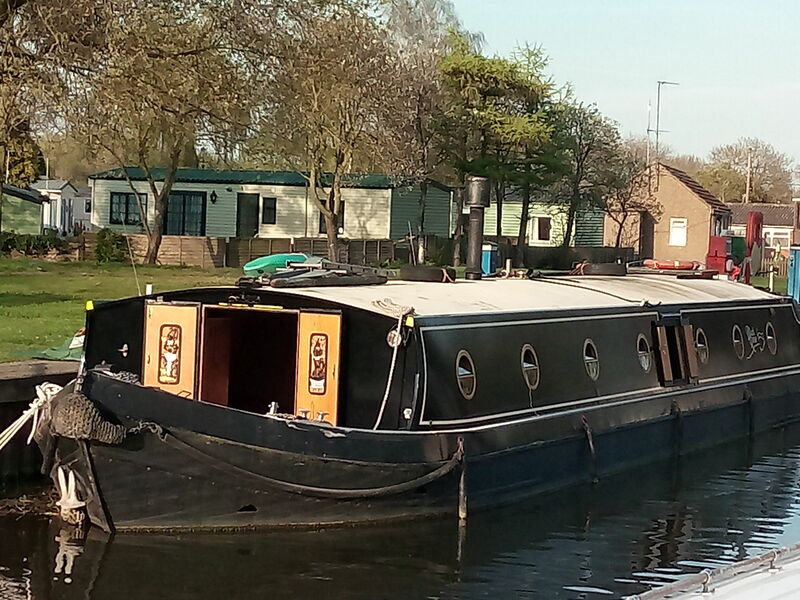 I love my widebeam, it's been a fantastic home over the last 14 years and a great boat too and I'd never go back to a narrow boat. To be honest I just don't like them very much at all. 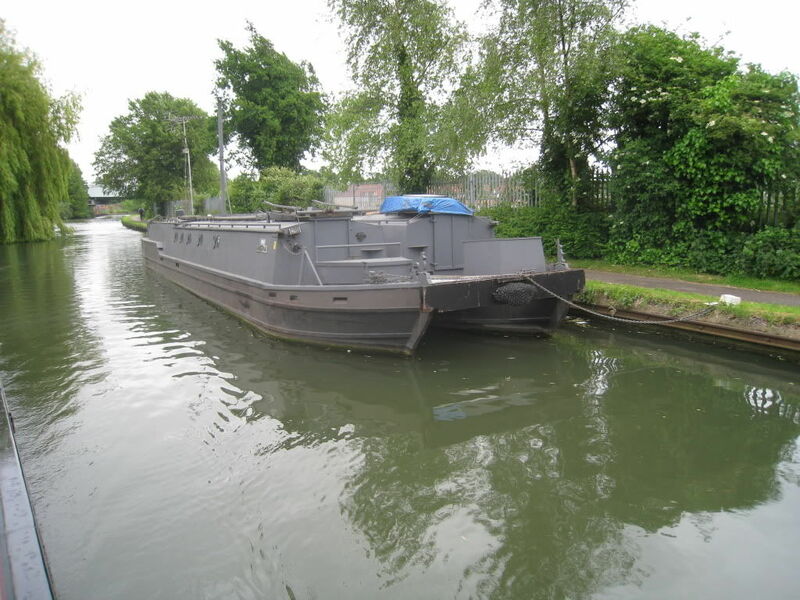 I've taken my boat all over the place, right around London on the Paddington arm, up and down the tidal Thames, from Reading to Bristol, even down ditches like the Slough arm. I've never had any problem. 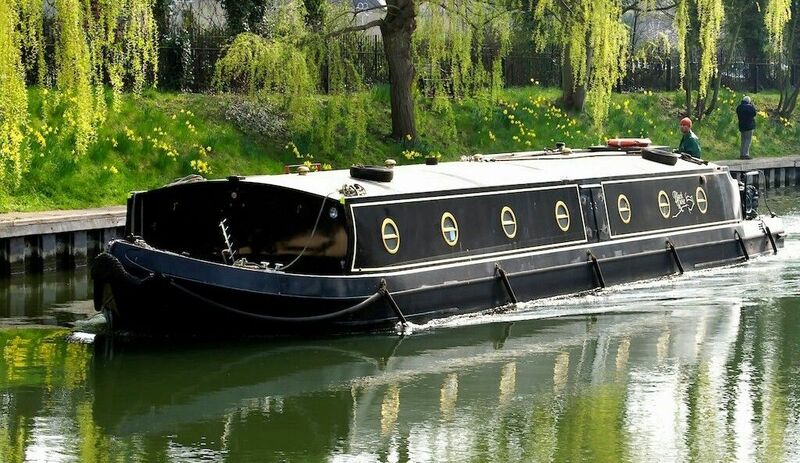 It's 12ft wife but it only draws 2ft which is a lot less than many narrow boats so I've never found myself scraping along the bottom of canals. I've been on rivers for the last 8 years. 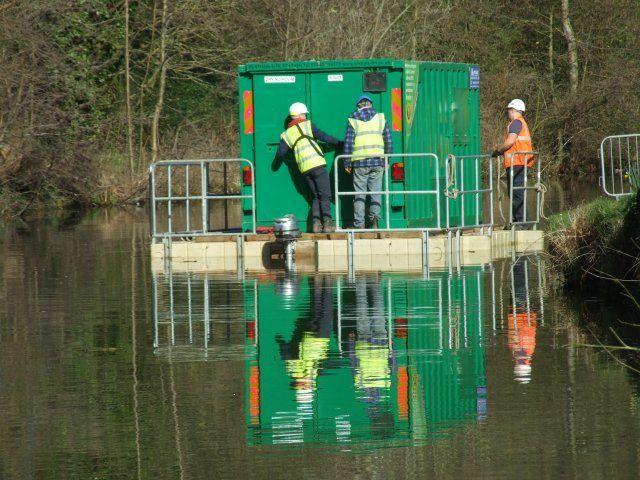 If I can handle this 30 tonne boat on my own I guess it must handle well. Maybe I'll cross the Wash one day and come up north. That's not my experience. 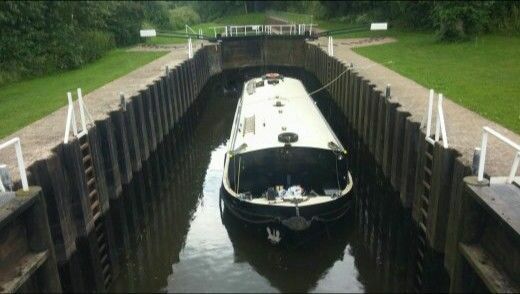 Every narrowboat I've steered including the one I owned was deeper draughted than my English fat boat. Most Dutch and Dutch style barges are deeper still. The only problem I've had with PETRA on the K&A has been the rocks that end up in the concreted section near Bath, if the level was where it should be there wouldn't be any problem at all. She draws 2'8'' + 3'3'' at the skeg but she has curved chines with a 12'' radius which tends to help a lot. Does this count as one boat or two? You need two licences for a motor and butty but do you if you fix them together? I saw a black widebeam called BLACK ROSE on the duck the other day and I did a right double take because for a second my first very surprised thought was that it was yours. But it was a different boat all together. 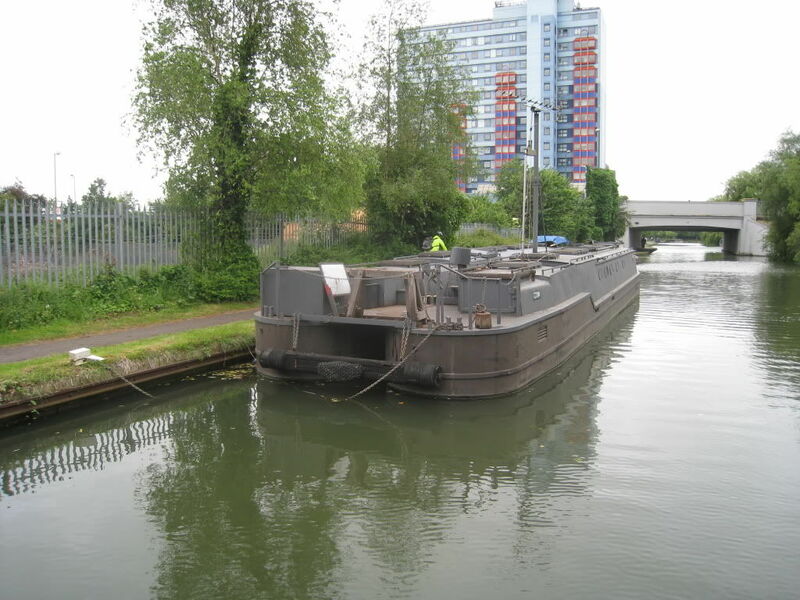 Are they actually welded or are they just braced - the metal strip at the stern look like it could be removable and the strip at the bows looks wooden, a bit like a scaffolding plank. Then they may as well just be tied together with ropes surely? What's the point of the steel and wooden bracing exactly? To be honest I don't know, other than it was a little more permanent but it would give you the option to separate them ones in the blue moon that you needed to, but it was more of a question than a statement really. The whole set up looks interesting but confusing to me. Maybe it makes better sense if seen in real life. The point of welding the two boats together is that only one licence is needed. 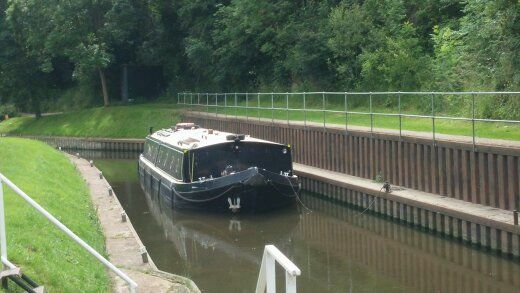 CRT had until recently the policy of charging for length only, so two 7ft wide boats cost twice the price to licence as one 14ft wide boat. To stop people taking the pish and just claiming their pair of NBs lashed together with rope was a single boat, CRT declared two boats had to be securely and permanently welded together to benefit from only paying one licence. Ok, so if they are welded together then I go back to my original post about not being able to get between the two hulls to prep and repaint. Where they meet is just a rust trap that you can't do anything about. Except that this boat/these boats has existed for many years, long before CRT was even an idea. 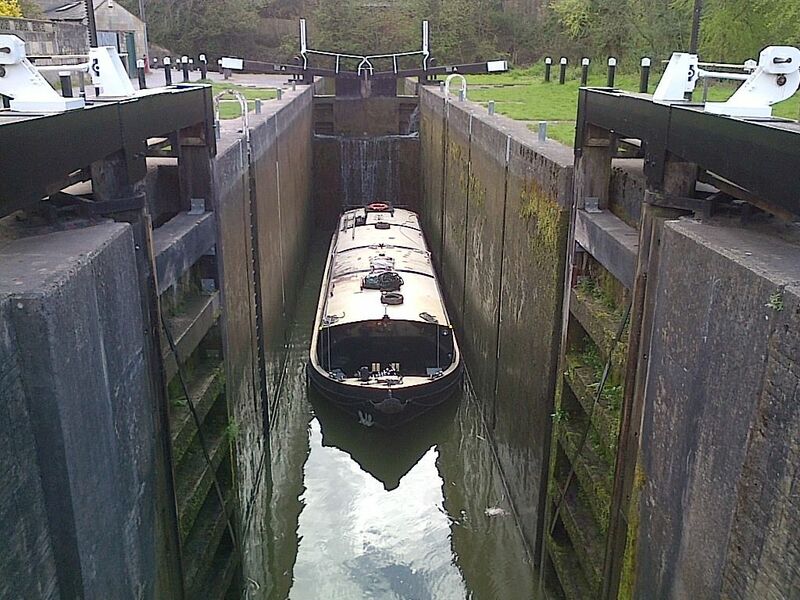 I guess to narrowboaters anything wider than 6'10" is a widebeam whatever it is.